Just about one month ago I finished reading the Stieg Larsson's Millenium series (I've already watched the David Fincher's movie, and I loved it.) Today I watched a marathon of the three swedish movies and I was thinking about the original title and the U.S. version on the movie that in my opinion is remarkable because is not just an adaptation of the books, but Fincher's vision of the story with better accomplished characters and beautiful aesthetics. 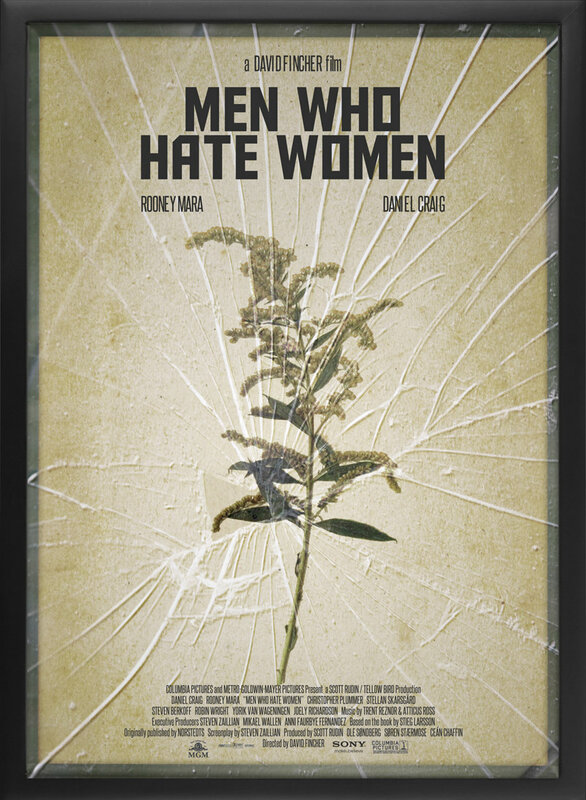 However, I kept thinking about the original swedish title "Men Who Hate Women" and the flowers, so I came up with this idea.